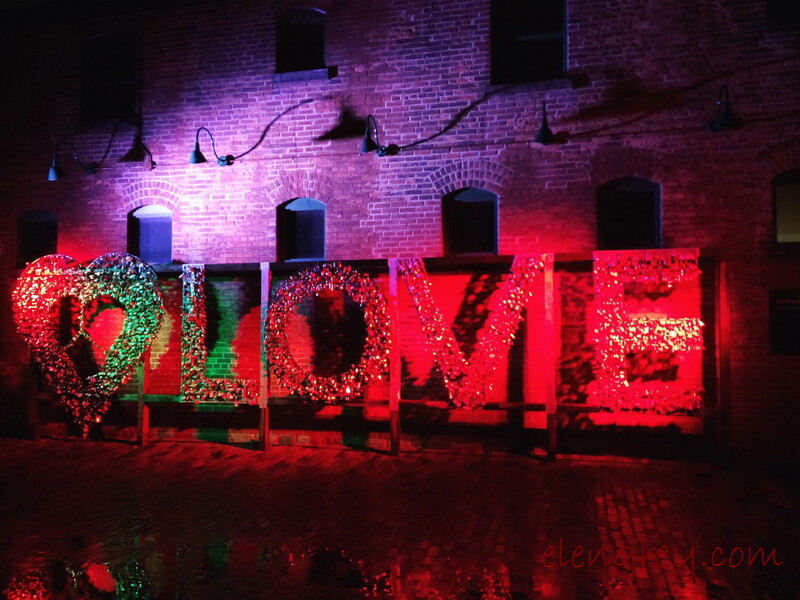 Another shot from the Toronto Light Festival at the Distillery District. Probably should save it for V-Day 2018 but by the time that rolls around, I will have forgotten all about it. We have clearly entered Mud Season. Squish Season. 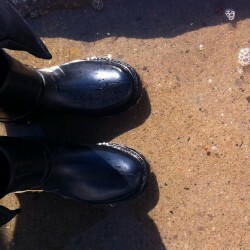 Gumboot Season. The soggy, smisty — I declare smist a word! — season that is spring. I’m good with that, as long as I get out and depoop the back garden every day. Every. Day. TMI? That’s life with a G-Pup. And while I’m there, I might as well troll for spring garden tips. Anything that is green. I see daff tips and chive tips and daylily tips and lilac buds. Woo-hoo. And, no. I’m not looking through a magic mirror. Yesterday, we had our first cozy fire since the fireplace was cleaned in August. How did that happen? I know how it happened. This winter was c-c-c-cold. And with the Ontario hydro rates, I didn’t feel like sucking all that heat out of the house for setting… mood. Spring fires for 2017! Friday Night at the Movies was Miss Sloane (2016). Two words — Jessica Chastain. I’m not sure she breathed through the entire film. Thrills and drama, drama, drama. Have you seen it? Git to work. Git to work. Git to work. Today is not my day off. I did git a lot done and even managed to keep from reading your post until my work was did. A good Monday it has been. Happy Spring Elen – these are the days. LOL, Kellie. I’m glad you did git a lot done. Happy Tuesday. I was off yesterday, but I’m working today. Our ground is sitll s**w covered. We’re getting some of that white stuff right now and we’re getting 10 more cm of it tomorrow. Winter just won’t let go of Nova Scotia. On the plus side, no poop in the yard or bitey bugs in the air. IMO, those are big pluses. Nova Scotia is beautiful in any weather.